Here at Windmill we have one of the finest selections of quality used Land Rovers for sale in Lancashire and the North West. As an independent company specialising in Land Rovers, we focus on providing a fantastic range of used 4x4 Land Rover vehicles but specialising mainly in Land Rovers. Our aim is to provide the highest quality and best prepared Land Rovers at an affordable price. We always have around 20-25 vehicles available for sale in our showroom, with a good variation of Land Rover Defender, Land Rover Freelander, Land Rover Discovery, Range Rover and Range Rover Sport. 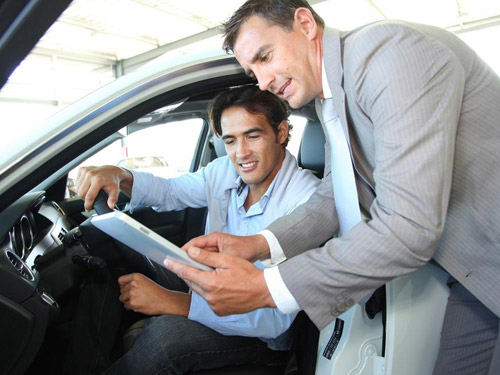 Click here to browse our used car showroom. 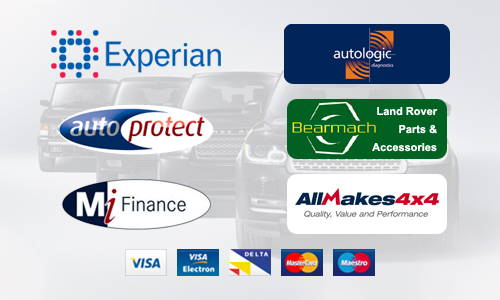 Used Land Rover Finance - We offer an extensive range of used Land Rover finance options to suit all needs, most major credit cards are accepted. We are FSA Approved for your peace of mind. Used Land Rover Warranty - Every one of our quality used Land Rovers comes with our own personally backed used car warranty. Windmill For Land Rover also offer a Part Exchange service, allowing customers to cover part of the cost of their new Land Rover by trading in their old one. Used Land Rovers Bought for Cash - If you are looking to sell your old Land Rover outright, we buy used Land Rovers for cash. Land Rover Locator Service - If you can't find the Land Rover you're looking for in our showroom, go to our Land Rover Locator page and fill in the form. We will find the right Used Land Rover for you. Contacting Windmill For Land Rover - Directions and map, opening hours, telephone numbers and enquiry forms are available on our Contact and Location pages. 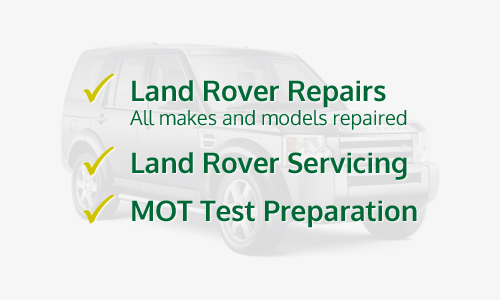 All of our vehicles are rigorously prepared and serviced in our own workshops, exceeding Land Rover's service schedules. All have 12 months MOT, timing belt (where required) and our own 'No Quibble' 3-month warranty. Extended warranties of 12 and 24 months are also available. With this wide experience, a quality workshop using genuine or original equipment parts, our position as Lancashire's premier independent Land Rover specialist is unrivalled.